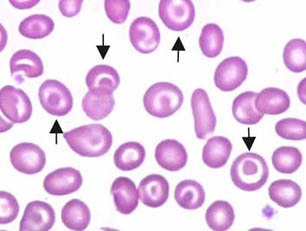 It is important for every medical student and doctor to learn the basic pathology like studying the morphology of normal and abnormal RBC's on blood smears. A brief description is given below. Normal RBC Morphology: It is about 7.5 micrometer in diameter, roughly the size of a small lymphocyte. 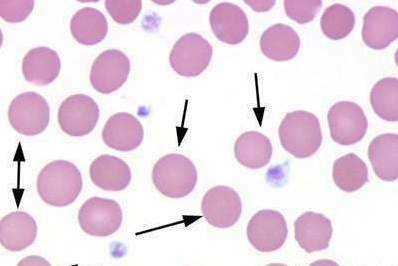 All the cells are of same size and color and have lightly colored area in the center. 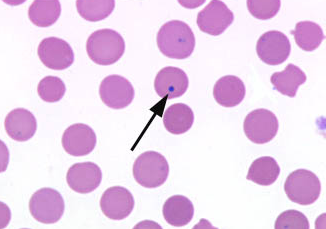 Reticulocytes: are large, grey blue cells admixed with pink (on Wright's stain). 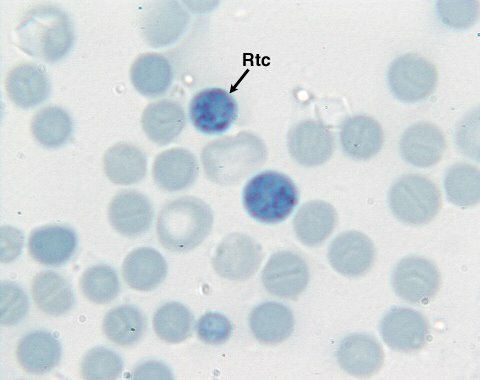 Reticulocyte is actually an immature red blood cell without a nucleus. 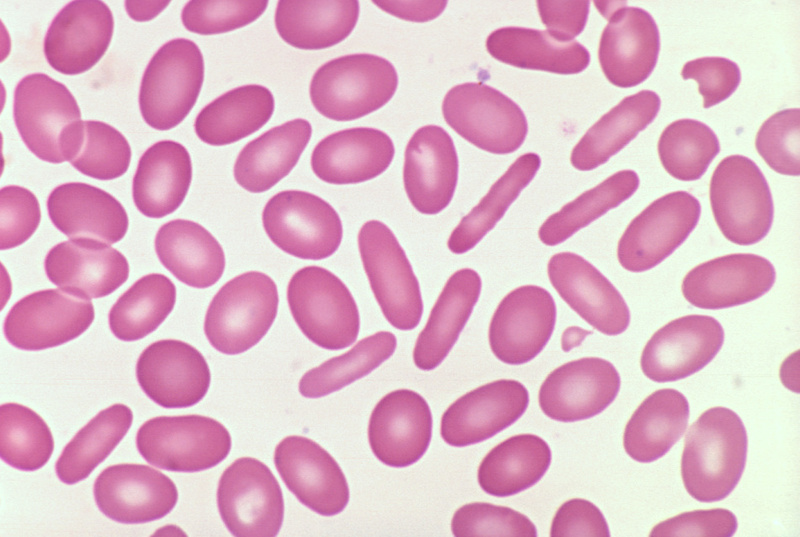 RWD - the automated rec cell distribution width is a measure of anisocytosis. 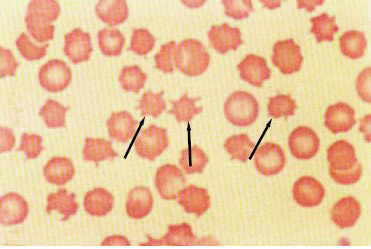 Echinocytes (Burr cells): regularly shaped, uniformly distributed spiny projection. 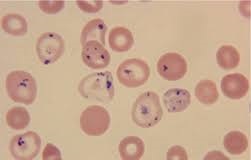 Seen in conditions like uremai and RB volume loss. 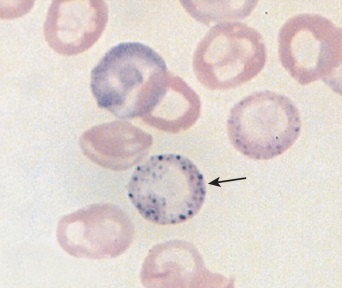 Elliptocytes: elliptical shaped cells seen in hereditary elliptocytosis. Schizocytes: fragmented cells of varying size and shape, seen in microangiopathic or macroangiopathic hemolytic anemia. 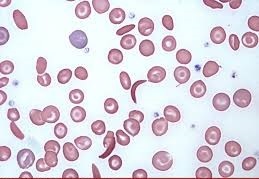 Sickled cells: elongated, crescentric, sickle shaped cells seen in sickle cell anemia. 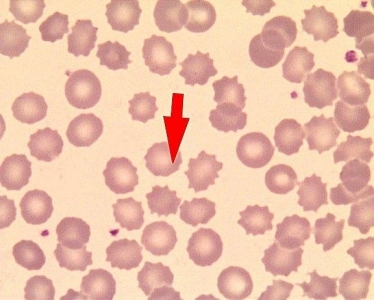 Spherocytes: small hyperchromic cells , lacking normal central pallor, seen in hereditary sperocytosis, extravascular hemolysis as in autoimmune hemolytic anemia, G6PD deficiency. 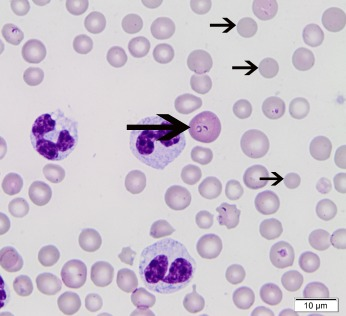 Target cells: central and outer rim staining with intervening ring of pallor. seen in liver disease, thalassemia, hemoglobin C and sickle cell disease. Teardrop cells: (dacrocytes) shaped like a tear drop with one side of the cell tapered and the other blunt. 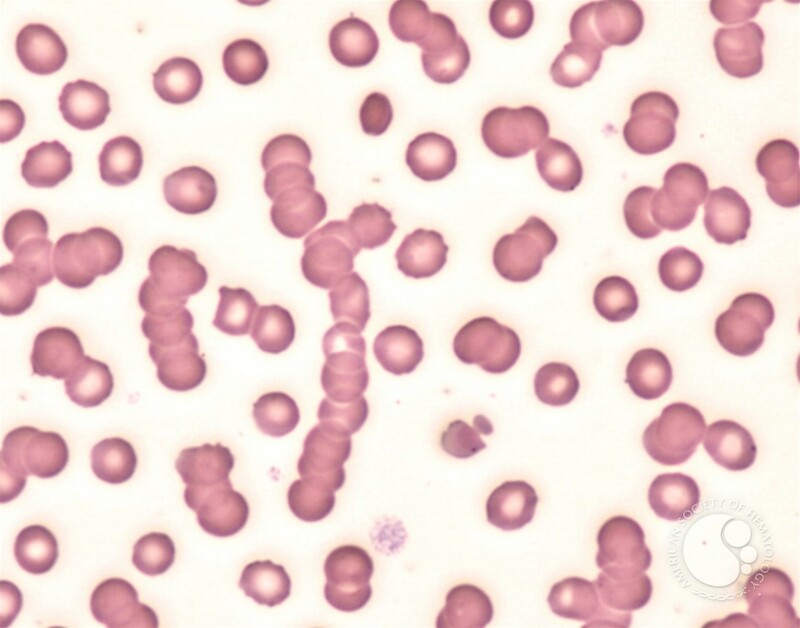 seen in myelofibrosis, osteopetrosis and other infiltrative disorders of the bone marrow. 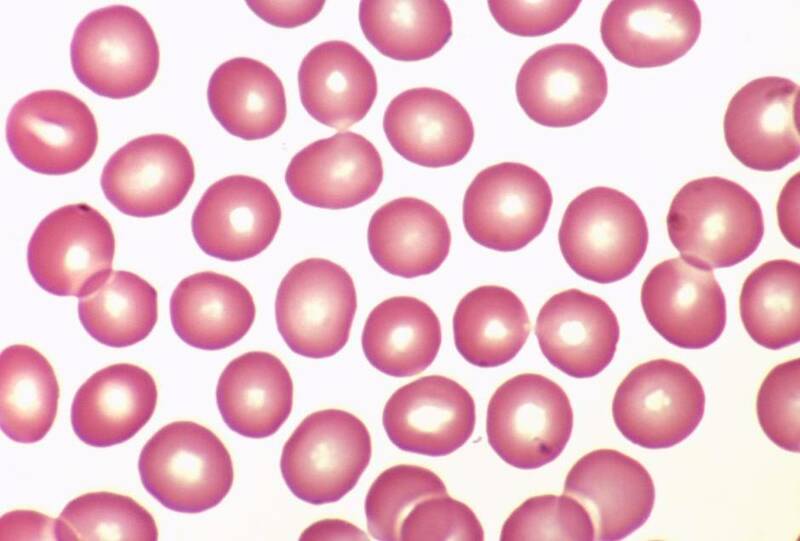 Rouleaux formation: alignment of RBCs in stacks of coins, may be artifactual or due to paraproteinemia e.g in multiple myeloma, macroglobulinemia. RBC inclusions: Inclusions sometimes also known as elementary bodies are nuclear or cytoplamic aggregates of stainable substances usually proteins. 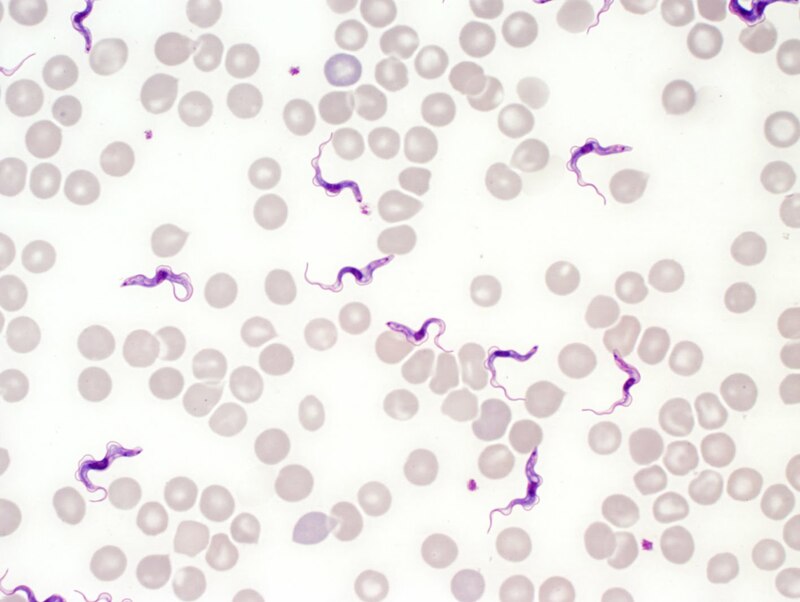 Identifying theses inclusion bodies may sometimes help in diagnosis of certain diseases. 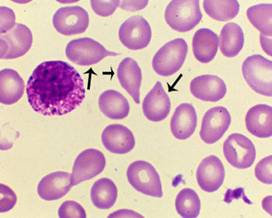 Howell-Jolly bodies: 1 micrometer diameter basophillic, cytoplasmic inclusions that represents a residual nuclear fragment. 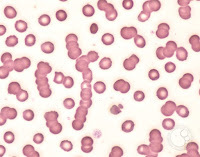 seen in asplenic patients. Pappenheimer (iron) bodies: iron containing granules usually composed of mitochondria and ribosomes, resemble basophillic stipplingbut also stain with pursian blue, seen in lead poisoning and other sideroblastic anemias. 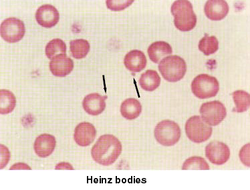 Heinz bodies: spherical inclusions of precipitated hemoglobin seen only with supra vital stains, such as crystal voilet. 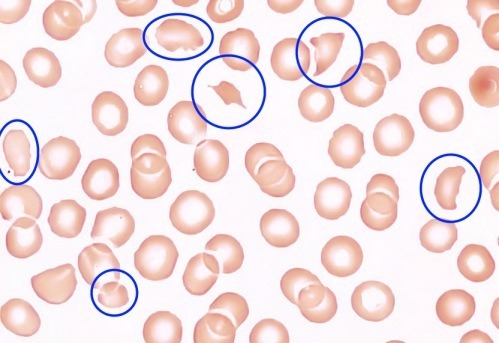 seen in G6PD deficiency, unstable hemoglobin variants. 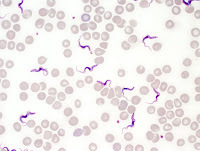 Parasites: characteristic intracytoplasmic inclusions as seen in malaria, babesiosis.